Children's book publishers are expected to meet their bottom line in the publishing world. Those picture books you buy for your kids and family members have to earn their dollar, just as all other books do. Though some children's books are classics that always have a space on bookstore shelves, most do not. Publishers receive thousands children's book proposals a year, yet may only choose a dozen or so books a year that they feel will "earn their dollar." Writers are duly cowed when considering the slim chances of being published, so research is paramount when considering where to send your children's book manuscript. Little, Brown: In business since 1926, Little, Brown is a well-respected firm that publishes approximately 135 children's books a year. The publish picture books, as well as middle reader and young adult books, many of which have become Caldecott and/or Newbery medal winners such as the 2015 winning book, The Adventures of Beekle: The Unimaginary Friend, illustrated by Dan Santat , as well as bestsellers like the genre-bending Twilight series. They accept agented-only submissions. Houghton-Mifflin Harcourt: This mega publisher has been in business since 1832 and has published some of the best known American writers, including Nathaniel Hawthorne and Henry David Thoreau. The company boasts thousands of children's books in its catalog and publishes books for every age and reading level. One of their most recognizable reading series is Curious George. They do not accept unsolicited materials and strongly suggest hiring a literary agent who specializes in the writer's area of creativity. Macmillan Publishing Group: The Macmillan Group includes several child-oriented lines such as Farrar Straus Giroux Books for Young Readers, Feiwel and Friends, Henry Holt Books for Young Readers, Priddy Books, Square Fish and more. Madeline L'Engle, Roald Dahl, Jack Gantos, and many other well-known authors call this publishing house home. Books/authors published at Macmillan have won the Horn Book Award, the Caldecott Medal, the National Book Award for Children's Books, and even the Nobel Prize. Each of the separate publishers has an individual website where they detail their submission policies. Dial: Dial Books, a publisher specializing in hardcover books for young readers, traces its origins back to the late 1800s when its literary magazine published the likes of e.e. cummings and Gertrude Stein. Today, Dial is part of the Penguin Young Readers Group and responsible for books like Roll of Thunder, Hear My Cry and dozens of award-winning books for every age group. Though they accept unsolicited submissions, they will no longer respond to a submission unless interested in publishing it. Dutton: Dutton Children's Books, one of the oldest continuously-operating publishing houses, specializes in "fresh and entertaining books for young readers," and boasts of publishing endearing and long-lasting titles like the Winnie-the-Pooh series and the Times Magazine Best Book of 2012, The Fault in Our Stars. Though their list is small (10-12 books a year), their books are high-quality and respected in the industry. Submissions to Dutton must be sent through a literary agent. Atheneum: Atheneum Books for Young Readers is a subsidiary of Simon & Schuster. Responsible for dozens of award-winning literary middle grade, young reader and picture books, they look for cutting-edge ideas that expand the boundaries of children's literature. Their authors include Cynthia Voigt, Judy Blume, and many others. Atheneum's submissions policy is via literary agents, though they do have a self-publishing arm of the company called Archway Publishing that offers writers publishing packages. Simon & Schuster: One of the leading children's book publishers in the world, the imprints in Simon and Schuster's children's division include the aforementioned Atheneum as well as Aladdin, Beach Lane Books, Little Simon, Margaret K. McElderry Books, Paula Wiseman Books, Simon & Schuster Books for Young Readers, Simon Pulse, and Simon Spotlight. Simon and Schuster does not generally accept unsolicited submissions, thus using a literary agent is best with this firm and its subsidiaries. Each of the imprints listed here has its own website and submissions information. Educate yourself about each imprint. Scholastic: The largest publisher and distributor of children's books in the world, Scholastic works a bit differently than the other publishers. Scholastic immerses itself in schools, offering book fairs and educational reading clubs in a way no other publisher does. Maurice Sendak, Stan and Jan Berenstain, Joseph Bruchac, and many other popular children's book authors are part of Scholastic's huge catalog. With 80-100 books published a year, Scholastic does accept unsolicited submissions, but only for their professional books (books teachers use in the classroom). Candlewick Press: Candlewick became an independent publisher in 1992, wholly owned and operated by its employees. More than 155 authors and illustrators belong to the Candlewick family and publish their quality children's picture books under the bear and candle logo. Many bestselling Caldecott and Newbery Medal Award winners found a home here, such as Because of Winn Dixie (Newbery Honor Medal), Sam and Dave Dig A Hole (Caldecott Honor) and I Want My Hat Back (New York Times Book Review Best Illustrated Children's Book of the Year). Submissions are currently being taken only via literary agents. HarperCollins: HarperCollins' children's books are for kids aged 0-12. In addition to HarperCollins and HarperChildren's Audio, their imprints include Amistad Press, Balzer and Bray, HarperTeen, Rayo, Katherine Tegen Books, TOKYOPOP, and more. HarperCollins' authors are often the recipient of awards and are well-loved by their public. Classics like Goodnight Moon and The Runaway Bunny are part of the HarperCollins catalog. The Newbery Medal winner, Sharon Creech is one of their authors, as are Jamie Lee Curtis, Beverly Cleary, and hundreds of others. HarperCollins does not accept unsolicited submissions. Lee and Low Books: The largest multicultural children's book publisher, Lee and Low offers reading choices from picture books to young adult. 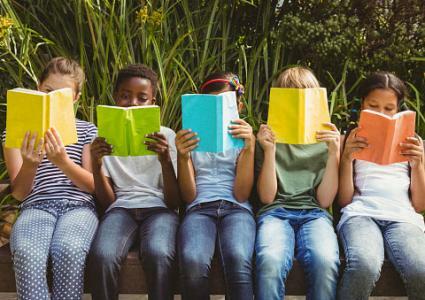 They are one of the few minority-owned publishers in the United States and focus on producing contemporary and diverse stories that all children can enjoy. Some of their award-winning titles include Ray Charles by Sharon Bell Mathis (Coretta Scott King Children's Book Author award) and Killer of Enemies by Joseph Bruchac (winner of the American Indian Youth Literature Award) The publisher offers their own award for literature by diverse authors called the New Voices Award. Though they only publish a dozen books a year, Lee and Low is open to unsolicited submissions. Boyds Mills Press: This publisher is the trade book arm of the Highlights for Children enterprise and began publishing in 1990. Boyds Mills focuses on strong storytelling and interesting characters. They publish a number of award-winning authors such as Suzanne Bloom (The Splendid Friend) and Carole Boston Weatherford (Becoming Billie Holiday). The Boyds Mills imprint, Wordsong, is the only children's book publisher devoted to poetry. Boyds Mills publishes picture books, chapter books and young adult. While this list doesn't include every children's book publisher there is, the ones discussed here represent top publishers that have stood the test of time. Consider this list when you're starting to send your children's book out, but certainly don't send to just this dozen before giving up on your work. If you conduct research about the type of book each publisher showcases in their catalog, you can learn a lot about how your book will compare. Be honest with yourself and don't waste time sending a board book to a publisher that boasts about their young adult authors on their website.